EnterosorbU is a family of highly pure activated carbons optimized for biomedical applications. Carbon adsorbents have been used in biomedical application since 1550 BC. Activated carbon is biocompatible and "Generally Regarded As Safe (GRAS)" by the FDA in the USA. 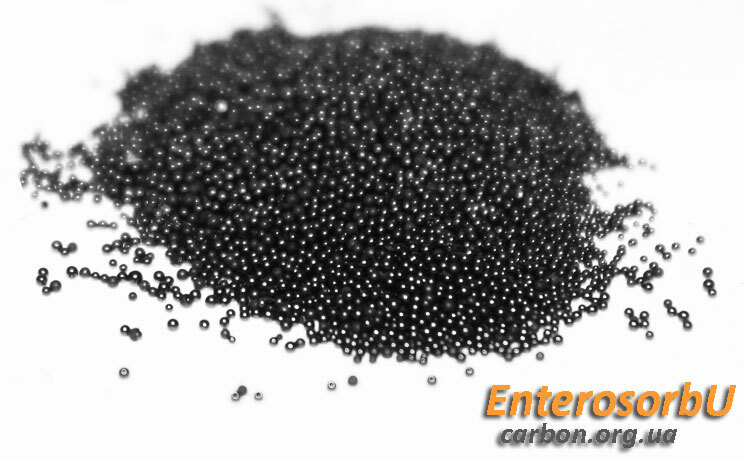 The advantage of EnterosorbU compared to this conventional activated carbon is that the properties of EnterosorbU can be tuned for specific application. EnterosorbU has the capability of adsorbing difficult-to-remove toxins from the somach, blood and other biological fluids. EnterosorbU sorbents have various applications including hemofiltration, enterosorbent, wound healing bandages, drug overdose and poisoning treatment. We are interested in collaborating with industrial and academic partners to explore medical applications for EnterosorbU. This material can be used for decreasing toxicity of chemotherapy and ther toxic drug use. It also can be used in gerontology for cleaning bodies from toxins and keeping you young. Kidney and liver diseases are amoung other midical applications.